In order to strengthen its presence in North America region, Teva Pharmaceutical Industries has reportedly closed a deal to buy Mexican drugmaker Representaciones e Investigaciones Medicas SA (Rimsa); valued at $2.3 billion. Teva currently has a small presence in the country, but with the Rimsa deal, it is all set to be come a leading pharma company in Mexico. Mexico is reported to be the second-largest market in Latin America and one of the top five emerging markets globally. The Mexican drugmaker had revenue of $227 million in 2014, with an annual growth rate of 10.6 percent since 2011. This deal follows Teva’s earlier acquisition for $40.5 billion in cash and stock for Allergan’s generics drug business. This is a second major acquisition by the compan in recent months to solidify its position as the world’s No. 1 maker of generic drugs. The Israel-based firm said it expected the deal to yield substantial cost savings. “This acquisition delivers on our strategy of increasing our presence in key emerging markets in order to position Teva for long-term growth in these markets,” said Chief Executive Erez Vigodman. Teva said Rimsa brought with it a portfolio of patent-protected specialty products, a strong brand, commercial presence and loyal customer base. “(Rimsa) provides Teva a much-needed platform to advance its own portfolio into the large and growing specialty market. We view this as a great deal for Teva from a strategic standpoint,” said Nomura analyst Shibani Malhotra. Teva’s stock was trading up 1 percent in a generally weaker New York market. Siggi Olafsson, CEO of Teva’s global generic business, said the company would build on Rimsa’s reputation, sales force and customer base to introduce additional specialty and generic Teva medicines to patients in Mexico and across the region. 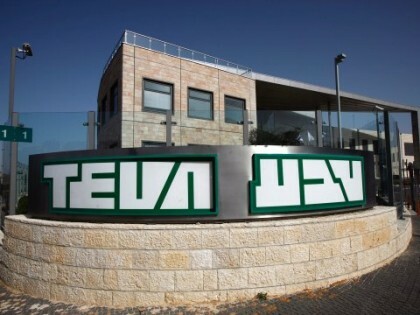 Teva, which expects the acquisition to close by early first quarter in 2016, will fund it through cash on hand and lines of credit. It is not expected to affect 2016 adjusted earnings and is expected to boost profit from the first quarter of 2017.